Zeki Hamawand is Professor of English Linguistics at the University of Kirkuk and a senior lecturer at the University of Sulaimani, Iraq. He is the author of several books including Atemporal Complement Clauses in English: A Cognitive Grammar Analysis (Lincom 2002), Suffixal Rivalry in Adjective Formation: A Cognitive-Corpus Analysis (Equinox 2007), Morpho-Lexical Alternation in Noun Formation (Palgrave 2008), The semantics of English Negative Prefixes (Equinox 2009), and Morphology in English: Word Formation in Cognitive Grammar (Continuum 2011). Semantics: A Cognitive Account of Linguistic Meaning is a comprehensive introduction to the study of the meaning of linguistic expressions in English: words and sentences. In conducting the analysis, it draws on two sources. First, it relies on the assumptions of Cognitive Linguistics, which describes language as being non-modular, symbolic, usage-based, meaningful and creative. Second, it hinges on the assumptions of Cognitive Semantics, which describes meaning as being embodied, motivated, dynamic, encyclopaedic and conceptualised. It explicates these assumptions clearly and applies them to diverse areas of language. Ultimately, it enables students to recognise the complexity of the English linguistic system, and trains them to solve the intricate puzzles characterising its nature. Chapter 1 introduces the notion of meaning in language, identifies its levels, aspects and types, and reviews different approaches to its definition. The aim is to introduce the basic terminology used in the study of meaning. The chapter is organised as follows. Section 1.1 explains what the notion of meaning is. It consists of two subsections. The first deals with levels of meaning. The second revolves around aspects of meaning. Section 1.2 sheds light on the different types of meaning: descriptive, expressive and social. Section 1.3 addresses the different conceptions of meaning: referential, relational, decompositional which includes componential, conceptual and primitive, and representational. In all the sections, I pursue three steps. First, I introduce the meaning conception. Second, I explain its assumption. Third, I give an example to test its application. Section 1.4 draws a comparison between the two mainstream paradigms of meaning: formalist and cognitive. Section 1.5 summarises the main points of the chapter. Chapter 2 explores lexical semantics, the branch of semantics which deals with the meanings of words. The aim is to show how the lexicon is organized, how the words of a language are interrelated and how their meanings are consequently interpreted. The chapter addresses two concerns. One relates to terminology. It introduces the terms used in the study of lexical semantics and defines them in a way that is both concise and precise. The other pertains to relation. It introduces the meaning relations which exist between words. The chapter is organized as follows. Section 2.1 focuses on the issue of what the term word is and what word meaning is. Section 2.2 centres on the types of paradigmatic relations which exist between words. Section 2.3 concentrates on the types of syntagmatic relations which exist between words. Section 2.4 combines both paradigmatic and syntagmatic relations in the description of words. In all the sections, I pursue three steps. First, I introduce the term. Second, I explain its meaning. Third, I devise an exercise to test its application. Section 2.5 summarizes the main points of the chapter. Chapter 3 examines sentential semantics, the branch of semantics which deals with the meanings of phrases and sentences. The aim is to show how the lexicon is organized, how the sentences of a language are interrelated and how their meanings are consequently interpreted. The chapter addresses two concerns. One concern relates to terminology. It introduces the terms used in the study of sentential semantics and defines them in a way that is both simple and clear. The other concern pertains to relation. It introduces the meaning relations which exist between sentences. The chapter is organized as follows. Section 3.1 lays emphasis on the issue of what the term sentence is and what sentence meaning is. Section 3.2 centres on the types of relations which exist between sentences. Section 3.3 concentrates on utterances which require pragmatic inferences. Section 3.4 is concerned with the semantic roles which participants in a sentence fulfil. In all the sections, I pursue three steps. First, I introduce the term. Second, I explain its meaning. Third, I devise an exercise to test its application. Section 3.5 summarizes the main points of the chapter. Chapter 4 presents the general approach to language study, known as Cognitive Linguistics, and the specific approach to linguistic meaning, known as Cognitive Semantics. 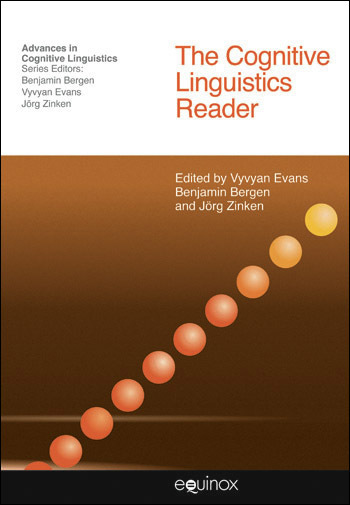 The chapter begins by outlining the guiding assumptions that characterize the two approaches to language description. The aim is to show how adept the assumptions are in analysing linguistic data and capturing semantic phenomena. The chapter is organized as follows. Section 4.1 introduces the assumptions of Cognitive Linguistics that characterize language as being non-modular, symbolic, usage based, meaningful and creative. Section 4.2 presents the assumptions of Cognitive Semantics that characterize linguistic meaning as being embodied, motivated, dynamic, encyclopaedic and conceptualized. In all the sections, I pursue three steps. First, I present the assumption. Second, I elaborate on its essence. Third, I devise an exercise to validate its application. Section 4.3 summarizes the main points of the chapter. Chapter 5 discuses the central roles in language assigned to conceptual structures, namely knowledge representations which pertain to the organization of conceptsin the human conceptualsystem.The chapterincludesthree sections. Section 5.1 defines the conceptual system and highlights its role in reflecting language. Section 2 enumerates forms of conceptual structure. Section 5.2.1 covers metaphor, whereby something is compared to something else which has the same characteristics. Section 5.2.2 concerns metonymy, whereby something is substituted by something else which is closely connected with it. Section 5.2.3 pertains to image schemas, abstract patterns which derive from our everyday interaction in the world and provide the basis for more richly detailed lexical concepts. Section 5.2.4 relates to mental spaces, knowledge patterns containing specific kinds of information and constructed for interpretive purposes. Section 5.2.5 explains blending, whereby selected elements from two mental spaces are incorporated in a third space, the blend. In all the sections, I pursue three steps. First, I elaborate on the essence of the conceptual structure. Second, I touch upon its properties. Third, I present its patterns. For each conceptual structure, I devise exercises to validate its application. Section 5.3 summarizes the main points of the chapter. 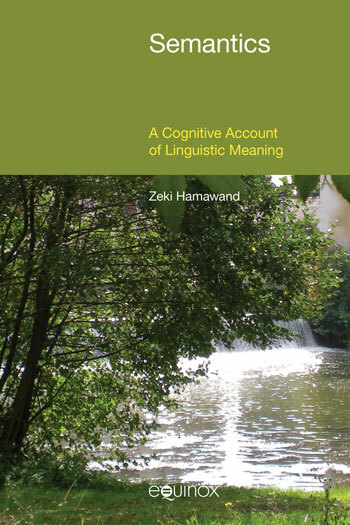 Chapter 6 discusses the cognitive mechanisms which account for the relationship between the component parts of a linguistic expression, whether at the word or phrase level. The aim is to introduce the tools of the cognitive framework and explore how they account for intricacies of linguistic expressions. The chapter consists of two sections. Section 6.1 relates to integration: the way the subparts are combined to form a composite structure. In four subsections, four pivotal factors are presented: correspondence, determinacy, elaboration and constituency. These concern the ways in which lexical items are combined with each other to make meaningful expressions. Section 6.2 relates to interpretation: the way the meaning of the resulting composite structure is explained. This concerns the fact that the meaning of a composite structure is derived not only from the meanings of its subparts but also from the pragmatic knowledge behind its use. In two subsections, two essential principles are presented. These are compositionality and analysability. In both sections, I pursue three steps. First, I present the factor. Second, I spell out its nature. Third, I test its application. 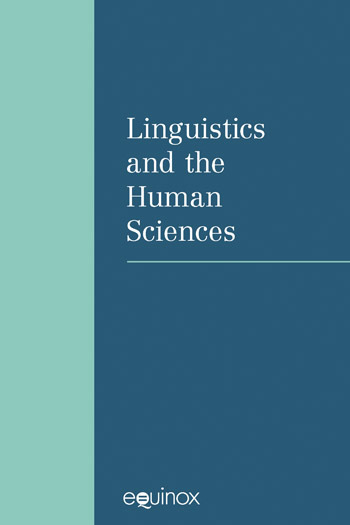 Chapter 7 explores the role of categorization in the semantic description of single linguistic items. The aim is to find out what the significant elements of a single linguistic item are. The chapter is organized as follows. Section 7.1 delineates the phenomenon of categorization and underlines its significance. Categorization refers to the mental act of grouping together the multiple senses of a linguistic item, be it lexical or grammatical, into a category. A category then is a network of distinct but related senses of a given linguistic item. Section 7.2 discusses the two theories of categorization: classical and prototype. In the classical theory, categorization is carried out in terms of defining features. In the prototype theory, which is advocated in Cognitive Semantics, categorization is carried out in terms of degrees of similarity to a prominent example. In the discussion, I pursue three steps. First, I underline the essence of each theory. Second, I disclose its theses and implications. Third, I provide examples to confirm its application. Section 7.3 makes a summary of the main points of the chapter. Chapter 8 inspects the role of configuration in the semantic description of linguistic items as groups. The aim is to discover the distinctive meaning of each linguistic item in a field. The chapter is organized as follows. Section 8.1 considers the phenomenon of configuration and underlines its significance. Configuration refers to the mental act of grouping together a number of linguistic items, be they lexical or grammatical, into a cognitive domain. A domain then is a knowledge background with respect to which the meanings of lexical items can be properly described. Section 8.2 presents the two theories of configuration: Lexical Field and Cognitive Domain. In the Lexical Field theory, which is advocated in Structural Semantics, configuration represents a model which focuses only on linguistic meaning. In the Cognitive Domain theory, which is advocated in Cognitive Semantics, configuration represents a model which focuses on both linguistic and non-linguistic meanings. In both sections, I pursue three steps. First, I underscore the essence of each theory. Second, I reveal its premises and repercussions. Third, I give examples to verify its application. Section 8.3 makes a summary of the main points of the chapter. Chapter 9 evaluates the effect of conceptualization on the explanation of pairs of linguistic expressions acting as rivals. The aim is to discover the meaning differences between apparently similar linguistic expressions. The chapter is organized as follows. Section 9.1 explores the phenomenon of construal and underlines its significance. Construal refers to the mental ability of a speaker to describe a situation in alternate ways and express them in language by using different linguistic expressions. Section 9.2 weighs two theories of explanation: reference and construal. In the reference theory, meaning equals reference. This theory treats meaning as existing outside the mind. In the construal theory, meaning equals conceptualization. This theory treats meaning as existing in the mind. In both sections, I pursue three steps. First, I establish the essence of the theory. Second, I disclose its axioms and ramifications. Third, I provide examples to demonstrate its application to different areas within language. Section 9.3 gives a summary of the main points of the chapter.